Ruth Adkins was born and educated in Toronto, Ontario. She graduated from Branksome Hall and was a student at the Ontario Collage of Art. She has three children and four grandchildren. Adkins' life has been decimated by ill-informed psychiatry and electro-shock therapies. Her tireless determination reduced surgeries and operations to minor delays in completing her manuscript. 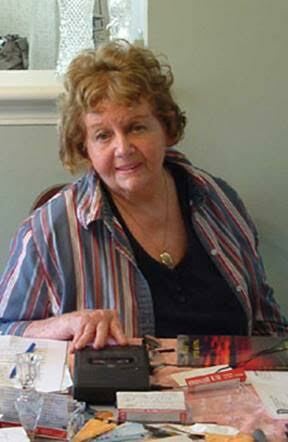 Her severe arthritis prevents her from typing, leaving her a tape recorder and pen to write her book. However at 83 she remains feisty and intelligent. Beyond Your Cornfield is an engaging, poetic novel with a vital message in the twenty-first century about the dangers of electro-shock and drug therapies.